So VW Diesel NOx emissions are 40x higher on real road tests than on standard emissions test. VW installed cheating software when they could not easily fix it. What Causes High NO (NOx)? Nitrous Oxide or NO is created when an engine’s combustion chamber temperature reaches over 2500F. 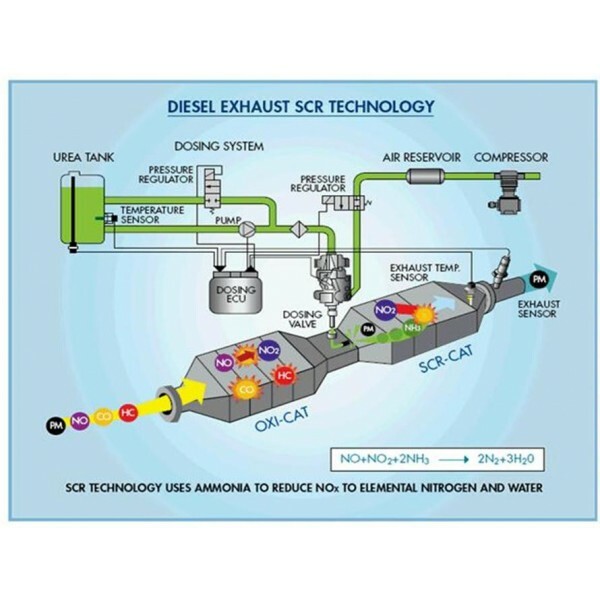 This solution clears exhaust gases after fuel burn in the engine. What is the cost? Probably $5K+ according to this article. 2. Hydrogen (NH3 + H2O) Injection. What about making it burn just a little cleaner? Probably this DIY will work. 3. Water Fog (H2O) Injection. What about just lowering the engine temperature by using water fog/droplets to absorb the heat? Probably this will work, too. 4. A combination of #2 and #3. Probably. But if it works it is still a lot cheaper than $5K+ urea injection. 5. Software fix. Update the A/F map and algorithm. This might lower performance ratings. For those who have home garage lab mentalities – experiment on!